The nCLD 62 is the next generation in measuring NO/NOx. Unique in speed and precision, the nCLD 62 is modular designed and allows the continuous measurement of concentrations in the range of parts per million. The measuring principles comply with international emissions monitoring regulations and its new and intuitive user interface “GUI“ individually displays and connects to other instruments’ data. The nCLD 62 fulfills the specific requirements for exact and economical monitoring of NO/NOx to ensure compliance with relevant norms and regulations. All necessary data, such as calibration history, instrument status and warning conditions are continuously stored and available anywhere and at any time. The analyzer is designed for either mobile or stationary operation in line with an existing gas preconditioning unit, which ensures quality control as well as staying within threshold values. Calibration and adjustment of the unit runs quick and automatically, ensuring unsurpassed precision and reliability. The new touch sensitive graphical user interface “GUI“ enables the user to individually adjust the instrument operation and data management according to his/her needs and applications. The bright 8” monitor gives a clear overview and allows numerical and graphical display of values. Multiple digital in- and outputs guarantee a maximal connectivity and flexibility for the remote operation, control and maintenance of the nCLD 62. 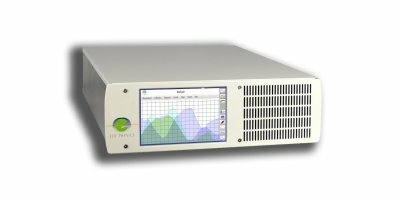 The nCLD 62 is manufactured in a new compact and modular layout, in which each essential component of the chemiluminescence analyzer hosts its own CPU and interacts with other CPUs by BUS-communication. This assembly increases accessibility and serviceability by reducing wiring and piping. The measurement principle conforms to the standard method for NOX-detection in stationary source emissions (EN 14792). No reviews were found for ECO PHYSICS - Model nCLD 62 - Gas Analyzer. Be the first to review!